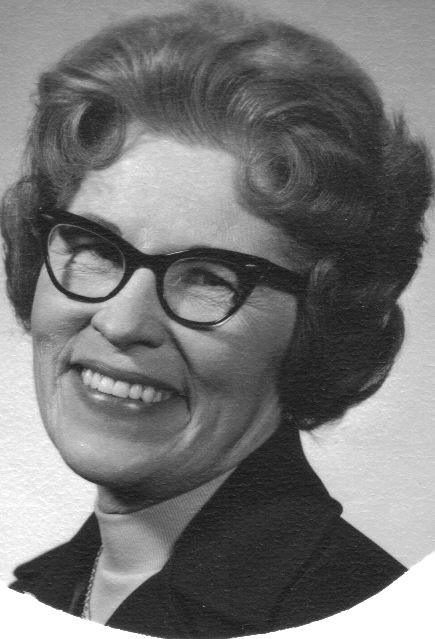 Dorothy Frances Roberts, 87, died Tuesday June 19, 2007 at Avera McKennan Hospital in Sioux Falls. Dorothy was born on October 24, 1919 in Lyon County Iowa to John Meyers and Elizabeth Kramer. She attended Logan Township Grade School and latter graduated from Lester High School in Lester Iowa. On April 8, 1972, Dorothy was united in marriage to John David Roberts at St. Joseph Cathedral in Sioux Falls. They have lived in Sioux Falls since their marriage. Dorothy was a member of Christ The King Church. She was employed at Northwestern bell Telephone Company from 1937 until her retirement in 1977. She was also involved in the Telephone Pioneers, the American Business Women's Association, and the St. Paul Guild of Christ The King Church. Dorothy also volunteered for R.S.V.P. for 20 years. Dorothy is survived by her husband: John, Sioux Falls; a sister: Dolores Gullickson, Hutchinson, KS, a niece: Lea Ann Gullickson, Switzerland; nephews: Dr. Duane Messner, CO; and Arch Bishop Thomas E. Gullickson, Trinidad. She was preceded in death by a brother: Donald Meyers and a sister: Leona Meyers. Visitation will be Thursday from 4 PM to 8 PM at Barnett-Lewis Funeral Home with family present from 7 PM to 8 PM. Funeral Service will be Friday, 10 AM at Barnett-Lewis Funeral Home with burial to follow at Hills of Rest Memorial Park.